The question is simple, which nature photo do YOU like best? Vote now to be entered to win a signed Nature Photo Print! #TeamFox beat out #TeamSeagull with 64% of the vote! In honor of BOTH teams (#TeamFox & #Team Seagull), I’ve signed a few limited edition prints and made them available to you! Once these are gone – they’re GONE! 1 available – Signed 5×7 print with an 8×10 matte – $30 (free U.S. shipping) CLICK HERE to Buy It Now! 2 available – Signed 8×10 print with an 11×14 matte – $50 (free U.S. shipping) CLICK HERE to Buy It Now! 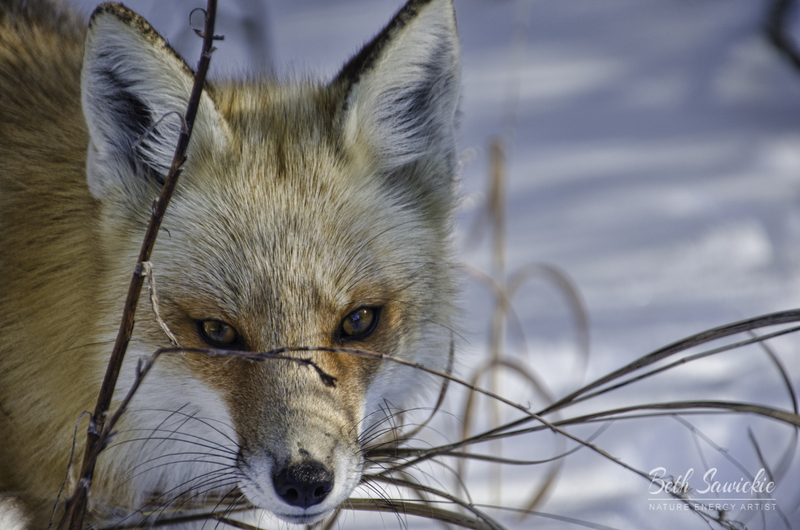 Unsigned prints and gift items featuring Red Fox Stare are available here. 1 available – Signed 8×10 print with an 11×14 matte – $50 (free U.S. shipping) CLICK HERE to Buy It Now! 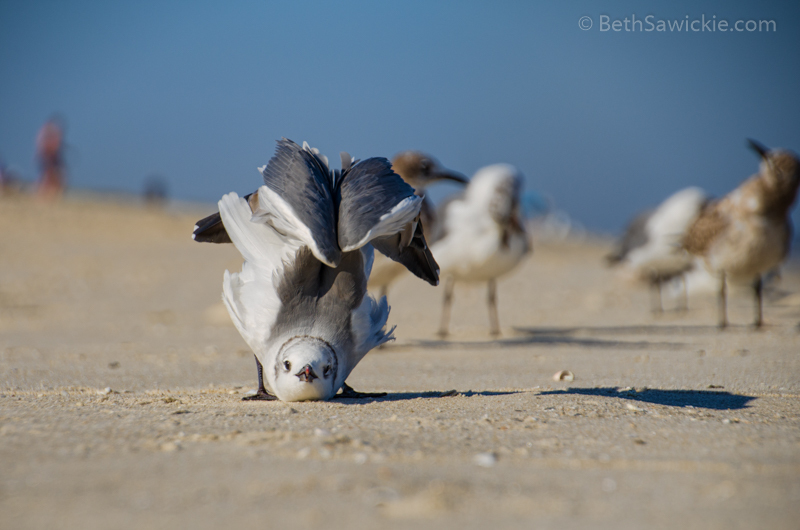 Unsigned print and gift items featuring Seagull Yoga are available here. Thank you all for taking the time to vote! There will be more giveaways. Be sure and sign up for my e-mail list HERE to be the first to know about the next signed photo print giveaway. Enter To Win: You enter through the entry form that is embedded on this page and appears just below or beside this paragraph, if you don’t see it, be sure to visit the page from your desktop or an alternate browser such as Google Chrome. It may not appear on all mobile devices. The complete rules and entry details appear on the entry form. This is not a comment contest – in other words, leaving a comment on the bottom of this page is not an official entry method. The only required entry method is to vote for your favorite of the two nature photos. One person will receive the signed and matted print. You can enter once, or gain multiple entries by completing the other entry methods and increase your chances of winning. Please review all Terms and Conditions on the giveaway page before entering. While we wish we could run this contest everywhere, for legal reasons it is only open to eligible residents of the U.S. and Canada, not including Rhode Island. It was almost the end of summer and I had not spent any time melting into the warm sand of the beach. The air was 78 degrees F and the water 75 ! A light breeze, sunny, few clouds and a PERFECT beach day! I brought my camera with me not knowing what I’d be photographing. This is one of the beautiful Red Foxes of Island Beach State Park in NJ. I got to spend part of a day hanging with them after a snow. I believe their numbers have dwindled in recent years – hopefully, we’ll see a bunch of new pups soon! Just Got To Have It? Order your own print or gift item now! Prints and gifts (mugs, t-shirts, greeting cards and more) featuring these nature photos are available exclusively through my Nature Energy Art Shop. I’d love to hear from you. Leave a comment and let me know – which nature photo you like best and how do you feel when viewing it? Nature Photo Giveaway Jan. 18-22, 2018 Which Do You Like Best? Vote Now! Nature Photo Giveaway March 7-14, 2018 Which Do You Like Best? Vote Now!